We have great news to tell you all! We have a brand new shop to sell our Aerial Photographs! Over the years, at Aerial Photography Wales have taken many photographs and we thought we would offer them for sale. We are going to be selling beautiful Aerial Photographs of South Wales and the U.K.. The Shop is currently up to date with the photo we have taken but if you wanted something more bespoke, let us know and we’re sure we can help. This shop will be updated regularly so there will be more photos in the future. 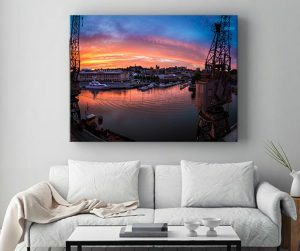 We are currently offering Canvas wraps, Aluminium prints, Acrylic glass and Fine Art frame. They come in a range of different sizes to fit in your room or studio space. 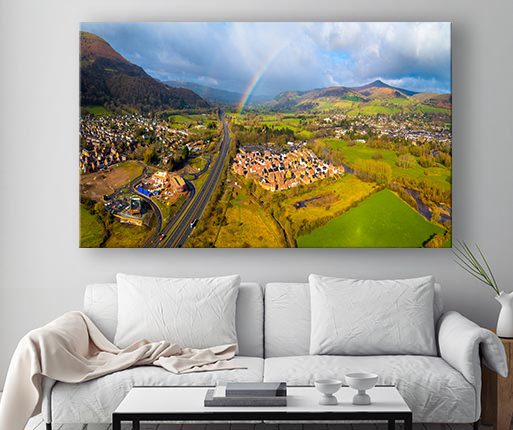 You could also contact us for customised filters to match the photograph with you room or contact us if you need a different size we don’t offer well see what we can do for you. Here is the link to our Brand new shop Here you will find all of the best Aerial Photography Wales photographs for sale. There are plenty of different products and sizes available to suit you and your home. Canvas Wrap with aerial photograph of Bristol Quay. Example of what we are offering. 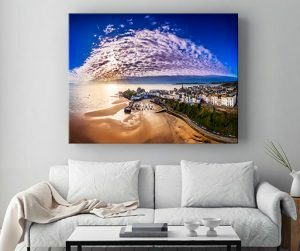 Canvas Wrap with Aerial Photograph of Tenby. Example of what we are offering.